In which country or state do you live? 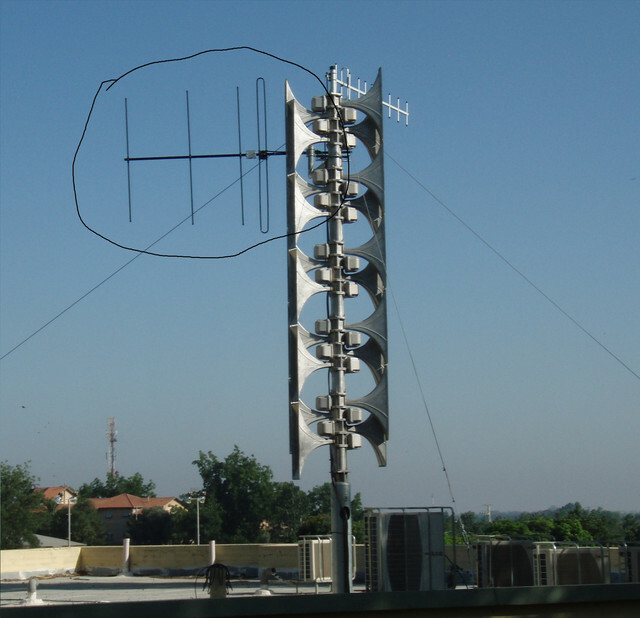 You can try to figure out what horns are used, what their size it is and determine the yagi element sizes. Then use an online yagi calculator to find out the frequency.